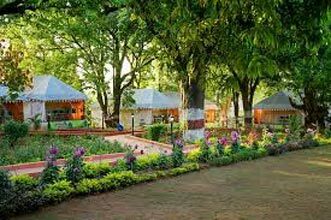 Arrive at the nearest railway head to Pachmarhi, Pipariya railway station. Meet our tour representative who helps you with an assisted transfer to Pachmarhi. The road journey is of around an hour. On the way, treat your eyes to the wonderful views of the surroundings. Open the windows of your car and let the cool air brush past your face. As you reach the hotel, complete the check-in formality. After freshening-up, leave for a nature walk, exploring the prime attractions on your own. As the day is at leisure, you can indulge in the activities of your interest. Hold hand in hand, explore the place, whispering sweet nothings in each other's ears. In the evening, explore the local market of the place. Here you can get your hands on some wonderful tribal craft items, made by the local Gond and Bastar tribes. Do not forget to try local cuisine dishes and savor their lip-smacking flavor. 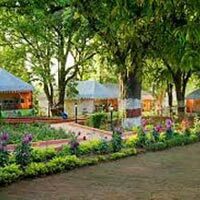 The sightseeing of Pachmarhi is not yet over! You have tons of places to explore when you are here. To take back the best experience, walk down this green destination in the morning and enjoy the scenic beauty. Later, continue with sightseeing at Chhota Mahadeo- a small trek takes you to this old temple that is dedicated to Lord Shiva, Jata Shankar- a natural cave in deep ravine with lingam-shaped stalagmites, Chauragarh – Pachmarhi's second highest peak with a Lord Shiva temple and Chauragarh fort and Dhoopgarh- highest point in Satpura ranges known as famous sunrise and sunset view point. Capture and take back with you the eternal romance of the place.